During pregnancy we get to know you and your partner through 2 prenatal appointments, usually lasting 1-2 hours each. During these appointments we assist you in creating your birth plan and gain a solid understanding of your desires for birth. These are conducted in my home office or yours. We are on call from the moment you sign up with us. We reserve your estimated due date in our schedule from 37-42 weeks and are available via phone and email at any time for the support you need. During your birthing time we provide continuous support that begins as soon as you want it. One of the unique aspects of a doula is the continuous support. There is no shift change and you get exactly who you hire. We provide emotional support and physical comfort measures and assist the partner in providing the birthing mom just what she needs. We stay with you after the birth until you have established breastfeeding, usually about an hour. We will keep in touch via phone the first few days and schedule a postpartum appointment to review your birth experience and answer any questions or concerns. This appointment usually lasts 1-2 hours. Schedule your belly casting now through Christmas and receive 30% off any belly casting package. I was surprised this morning when I turned on the news. Princess Kate Middleton is suffering from hyperemesis gravidarum, a very severe form of morning sickness. I thought I would take this opportunity to talk about hyperemesis a bit. Morning sickness usually begins right around 6 weeks. It is characterized by a feeling of nausea, vomiting, and a strong sensitivity to smell. It typically lasts from about 6 weeks to 12-16 weeks, however sometimes morning sickness can last through the entire pregnancy, or stop and return in the last trimester. HG is the more severe form that Kate Middleton has. Women with HG often need to be hospitalized due to malnutrition and dehydration due to excessive, almost continuous bouts of vomiting where very little, if anything can be kept down. They will receive IV fluids, nutritional support and medications. Always call your doctor/ob/midwife if you think you may have hypemesis gravidarum. I am looking forward to teaching tomorrow's FREE class at Babies R Us Exton, The Ins and Outs of Diapering. Everything you need to know about diapering a newborn including both disposable and CLOTH diapering basics! Even if you're a diapering veteran, this class may be for you if you'd like an intro to cloth diapering. 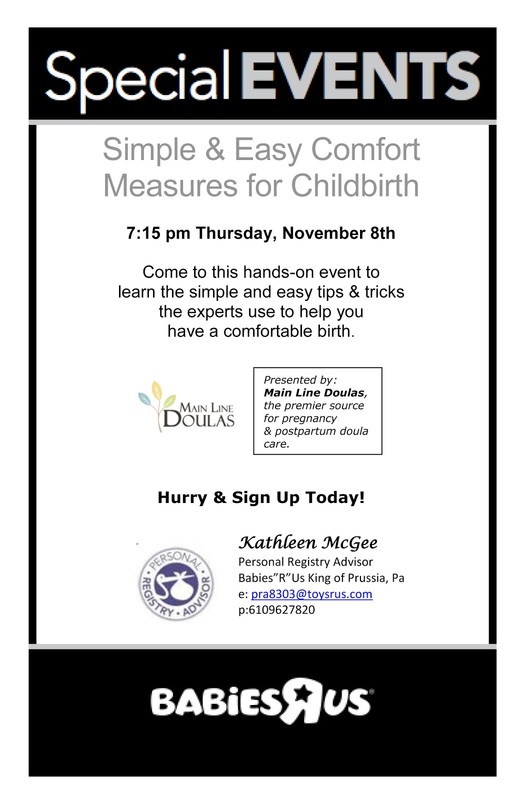 Thanks so much to everyone that came out to the Simple and Easy Comfort Measure for Childbirth class at King of Prussia Babies R Us tonight. What a great turn out! I had a wonderful time and hope that everyone gained a few tools for your upcoming births. Many people are familiar with a Baby Nurse, but not as familiar with the term Postpartum Doula. They are very similar, only the postpartum doula has expertise and training in not ONLY baby care, but also has professional training in the specific physical and emotional needs of the newly postpartum mother. 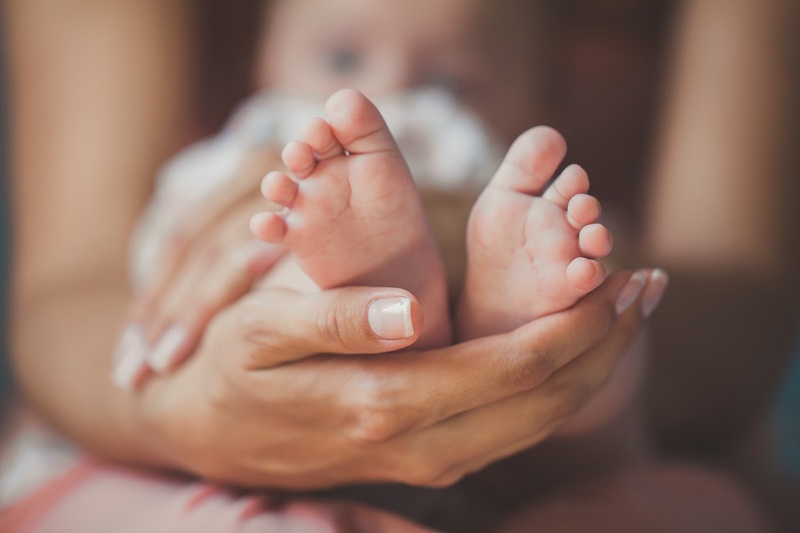 This means that a postpartum doula is able to care for the very special needs the the postpartum mother has, both vaginal birth recovery and cesarean section birth recovery. We provide both DAY and OVERNIGHT care. International Doula Institute defines a postpartum doula as a professional support person trained in the needs of the family in the days, weeks and months after birth or the addition of a new baby. The doula offers non-judgmental support, guidance, evidence based education and practical hands-on support immediately after birth through the first year. Doula originates from the Greek word meaning woman servant. A postpartum doula will do everything to educate and care for the mom, partner, baby, home and siblings. We help your home run smoothly as you make this transition, from laundry, dishes, light housework, meal preparation, food shopping, sibling support and guidance, to education, and newborn care overnight to help you get well rested for the next day. Click here for the benefits of a postpartum doula. Click here for side by side package comparison. Click here to take an assessment to find the Main Line Doulas Postpartum Package right for you. A primary doula that you interview and choose(with our help) and two secondary doulas assigned to you. This doula blocks off space in her schedule and is on call 2 weeks before your estimated due date(or more depending on special circumstances, such as multiples). A postpartum planning session including a needs assessment lasting one hour with your primary doula. You meet your postpartum doula before the birth of your baby to establish a relationship, discuss the special needs of your family and develop a postpartum plan. This meeting usually lasts 1 hour and is included for free with the purchase of all packages. Postpartum doula support for a minimum of 12 week and up to the first year for between 40hrs per week and up to 24 hrs a day. Live in care available. A primary doula that you interview and choose(with our help) and a secondary doula for hours over 40 per week. This doula blocks off space in her schedule and is on call 2 weeks before your estimated due date(or more depending on special circumstances, such as multiples). Postpartum doula support for a minimum of 6 weeks and up to 12 weeks for between 40hrs per week and up to 70hrs per week. Postpartum doula support for a minimum of 2 and up to 6 weeks for between 40hrs per week and up to 70hrs per week. The on-call doula available to do everything a doula does, from education, breastfeeding support, to nurturing, to laundry and dishes and light housework. Minimum of just 4hrs per week. Flexible to your needs based on availability when baby arrives. Package 5: Help, We Didn't Plan Ahead! We designed this package specifically for the families that call us that have suddenly realized their need for extra support after the birth of their baby. Typically families will book our services in the second and third trimester. But sometimes families don't realize how much they really want or need our services until after their baby is born. This is the package for you. We may even be able to arrive the same day you contact us! We CANNOT guarantee availability at any given time. Please call immediately to check availability for your desired hours. Freedom for Birth Philadelphia Screening Success! 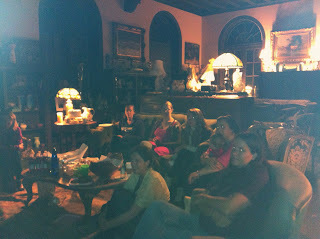 Last night was the Freedom for Birth Global Premier screening hosted by Main Line Doulas. We had a really wonderful time. We discussed the film a bit, and then the evening turned into an impromptu birth story circle. Multiple generations were represented from my grandma and mother, down to a mother and her 19 year old daughter to new moms. It was wonderful to share our birth stories with mother/daughter present as well as women who have not gone into motherhood yet. Thank you everyone who came out for a wonderful evening. Will you be attending a baby shower soon? The belly cast is one of the most memorable shower gifts you could give your friend. Sure, the diapers, cute clothes and baby swing are useful, but they will be used up and gone very shortly after baby arrives. A professionally done belly cast or belly bowl will last a lifetime and be a cherished piece of art for the entire family. Your friend will remember your gift forever, what a great way to honor your relationship with her and give her something that truly honors and recognizes her. People often ask me about giving birth doula services as a baby shower gift or blessingway gift. Although this would be a wonderful gift, it would not be appropriate to purchase my doula services without first having a consultation with mom. If you are considering giving the priceless gift of a birth doula, first talk to the special mom-to-be in your life, and then we can discuss setting up a private consultation for your friend and I.
I wrote a post a few weeks ago about my belly casts. In addition to the belly casts, I also do Belly Bowls. The process is very similar to the complete belly cast, only the end result is slightly different: a bowl! And it sure does come out beautifully. It's perfect for someone in a smaller home who doesn't have the space for the full belly cast to display on their wall. I create the belly bowl cast in the comfort of my home studio in Bryn Mawr. Clients come from all over including but not limited to Philadelphia, Wynnewood (near Lankenau Hospital) Merion, Ardmore, Upper Darby, Drexel Hill, Media, Springfield, Riddle, Bryn Mawr, Wayne, Paoli, Roxborough, and surrounding areas. Please email me at mainlinedoulas@gmail.com or call 484-802-6100 to set up an appointment for your belly bowl. Capture the beautiful progression of your growing belly. This is a series of 3 casting sessions done at 22 weeks, 30 weeks and 38 weeks. I am so excited to become a certified breastfeeding counselor! We meet in King of Prussia and there are 7 other women in the class coming from South Philly, Roxborough, West Chester, Hatboro and a few other areas I can't think of right now. Wanna know more about prenatal yoga? 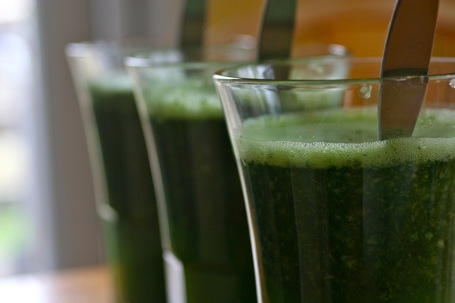 Read this article from Main Line Health, then check out East Eagle Yoga!! Today I attended the Improving Birth Philadelphia Rally right in Center City Philly at Independence Hall. The purpose of this rally was to create awareness regarding the need for change in currently accepted birth practices that are not evidence based. I had a wonderful time connecting with other doulas, midwives, birth activists and their children. My daughter Ivy attended with me!! I hope to have some photos soon of this wonderful event that is improving birth. Philadelphia, PA 8/27/2012 - A new documentary that reframes childbirth as the most pressing global Human Rights issue today is launching with hundreds of premieres all over the world on the same day, Thursday 20th September 2012. Local Merion Station mother and business owner, Aliza Bancoff of Main Line Doulas, LLC, is hosting a screening in Bryn Mawr. Hermine Hayes-Klein, US lawyer and organiser of the recent Human Rights in Childbirth Conference at the Hague, the Netherlands says, “the way that childbirth is being managed in many countries around the world is deeply problematic. Millions of pregnant women are pushed into hospitals, pushed onto their back and cut open. They are subject to unnecessary pharmaceutical and surgical interventions that their care providers openly admit to imposing on them for reasons of finance and convenience. Women around the world are waking up to the fact that childbirth doesn't have to be like this and it shouldn't. Disrespect and abuse are not the necessary price of safety”. A local screening of Freedom For Birth will take place at xxxx [Add details of location, date & time of screening] organised by [Add your details]. The filmmakers are aiming for 1,000 screenings happening across the world on Thursday 20th September, 2012. The countries with confirmed screenings include the UK, Germany, France, Denmark, Spain, Greece, Italy, Norway, the Netherlands, Austria, Poland, Croatia, Slovenia, Slovakia, Belgium, Hungary, Israel, Sweden, Finland, Iceland, Russia, Iceland, USA, Canada, Mexico, Colombia, Brazil, Australia, Malaysia and New Zealand. Freedom For Birth is Harman and Wakeford's third documentary film about birth. They were inspired to make films about following their own difficult birth of their daughter four years ago. A cascade of interventions in their birth led to an emergency caesarean section. High resolution still images available on request. The Children's Hospital of Philadelphia Special Delivery maternity Unit was specifically designed to be a safe haven inside CHOP designed specifically for the needs of a laboring mother and their family. Families come here knowing that their baby will have very special medical needs immediately at birth and after. Often times babies come from surrounding hospitals, and mom is required to stay in the hospital they birthed in for 1 day or more, while baby is transferred to CHOP. Birthing directly in the CHOP Special Delivery Unit, mom's are not separated by many buildings or even miles away from their baby. They are able to actively participate from minute 1 in their babies care and decision making. This is something that would not be possible for babies expecting to be born with very special medical needs and born in a hospital without the abilities of such an advanced NICU and surgeons. I was happy to find this article, Top Childbirth Classes in Philadelphia, from May 2012. Some very deserving local childbirth classes were the features of this great article about childbirth classes in the Philadelphia area. Check it out! Four years ago The Birth Center in Bryn Mawr started an alumni group. 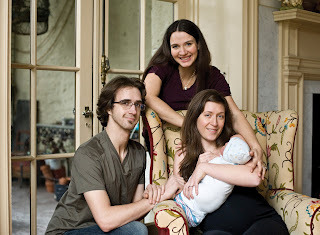 "A group for alumni families and clients of The Birth Center in Bryn Mawr, PA. The community of TBC Friends is a vital support network for families as they go through life's stages. Through a variety of communications and events, TBC Friends will keep families connected to each other and to TBC. The members of the TBC Friends will continue as advocates, community resources and supporters of TBC’s programs and mission. TBC is not formally affiliated with TBC Friends Events." The group offers fun events throughout the year, including play ground play dates, CPR classes, film screenings, How-To lectures etc. This year I decided to join the organizing committee. We are currently preparing for the 4th annual TBC Friends Picnic scheduled for next month. After the picnic is over, we look forward to planning some more really great, FREE events! Lankenau Hospital in Wynnewood is 150 years old! I had no idea that Lankenau hospital in Wynnewood is over 150 years old, wow! I live just about a mile away from it, and have for most of my life. I went to my pedeatrician there as a child, had many a ER visits there growing up, and now I attend births there as a doula. I love the continuity that comes with living in the same town that I grew up in. It was also the place that health insurance was conceived. If you paid 25 cents per month, you would be entitled to free admission. Amazing. Lankenau hospital is such a blessing to have so close to home. Hypnobabies Philadelphia offers a complete childbirth education course. Today I connected with Carrie Ballek of Hypnobabies Philadelphia. Although the title is "Philadelphia", she also has a class location in the Bryn Mawr/ Wayne area. Karen Zamperini will be offering the same class in her Bryn Mawr area location starting on September 23rd. Consider this course if you are due late December 2012-Feb 2013. I am so excited to be able to tell you all about their classes. Hypnobabies is a truly amazing program. I teach many aspects of the meditation programs in my two prenatal visits. But I would very highly suggest these programs in addition to the prenatal appointments that I offer. Hypnobabies Philadelphia offers group and private Hypnobabies classes to expectant couples, single moms and birth professionals in the Philadelphia and Lehigh Valley, Pennsylvania areas. Visit this page often for updates, latest news and links. ● Most of our moms use fewer drugs or no drugs, which means less risk of side effects for you and your baby, due to elimination of the Fear/Tension/Pain Syndrome, and using post-hypnotic suggestions. ● Hypno-Moms generally have much more energy throughout first and second stage, due to your total relaxation throughout the birthing process. ● The birthing environment is much more calm and peaceful when you, the natural childbirth mother are comfortable, relaxed and confident. ● Breech and posterior babies can be turned using hypnosis. ● Blood pressure, heart rate, and temperature can be lowered and nausea, back and hip pain eliminated with hypnosis during pregnancy and labor. ● There are fewer interventions for failure to progress and therefore fewer complications during labor for our mothers and babies. ● The deep relaxation in Hypnobabies sessions has also helped many a nervous birth partner to enjoy their partner's pregnancy and childbirth, and the skills that the Hypno-couple learns for relaxation and hypnosis will benefit them for the rest of their lives. ● As a Hypno-Mom, you are easily "deprogrammed" from the usual negativity of childbirth stories and scenarios you may have heard or read, by way of training in Hypnobabies classes and audio CDs which have positive messages and hypnotic suggestions. This automatically allows you to have a much more positive attitude and confidence in birthing. It is truly a gift that you are giving yourself, an amazingly easy way to enjoy your pregnancy more and actually look forward to your baby's birth! Main Line Doulas is excited to announce that we will now be offering belly cast service! My studio is fully equipped with all materials and equipment necessary. You sit back and relax while we create this beautiful memento of your pregnancy. Click on the "Belly Cast" button above for belly casting package information. FREE Bradley Method Course Philadelphia! I was visiting the Holly Vicki Bradley Method course website to find the link for one of my clients... and I discovered that for the Grand Opening of her Bradley Method of childbirth education courses in Ardmore, the first FOUR couples to register will receive the entire 12 week course completely free!! Quick, run, register NOW, seriously, this is a $240 value(although I'd say it's an even greater value than that). P.S. I have no connection with Holly, other than that I recently discovered her website and will be attending a few of the classes in her upcoming series to listen in a bit and learn more about the Bradley Method. And of course I really want to support new local child birth professionals and foster close relationships with others in the field. Main Line Doulas not only serve the Main Line, but also the entire Philadelphia area need for doulas. We serve all of the Philadelphia area hospitals. The Main Line is such a perfect location to be able to serve the Main Line Health system, as well as hospitals in Philadelphia. If you are interested in finding a doula, please click above to learn more about all of our services! Although in real time, Kourtney has already had her baby Penelope, but watching it on tv, she is still pregnant. In this episode, she had a midwife come to her home to create a belly cast of her pregnant belly. I was so happy to see belly casts featured on national television. They are such a wonderful keepsake of pregnancy and a beautiful piece of art to display in your home. I learned how to create casts from a very young age, around 7 years old. My mom was a sculptor and would take casts of my face, hands and arms to help her create her sculptures of children. I learned the techniques along with her at professional art institute, The Fleshier Institute in Center City Philadelphia. So needless to say, I've been doing casts for a long time. Please contact me if you would like to hire me to do your belly cast. I suggest that belly casting be done between 30-39 weeks. I am so excited to be sitting in on a Bradley Method course being taught by Holly Vicki right here in Ardmore, PA. Such a convenient location right by the R5 train station, close to center city Philadelphia, Delaware County, Montgomery county and of course, the Main Line. It's every Saturday for 12 weeks. Gosh that's a lot of weeks. I don't know if I'll be able to get to every class. But I really like that it's more time than the average childbirth education course. I always wish that pregnant women had more support at the beginning stages of pregnancy, more community. It's so helpful for mom's to have that early peer support, that comradery during the tough stages. And that extra practice time to really remember things and get them right. I suspect that I will shortly learn that Bradley being so long, purposefully is this way to allow couples to gain that comradery and community that would lack in shorter courses. This is my introduction to the Bradley Method. I've learned a bit about it through my studies(I've read the book), but have not gone in depth learning about how I can best support a couple using the Bradley Method as a doula. This course is for expecting parents, not doulas. But I think this will be the best way for me to really learn the ideologies of the method, by learning what the expecting couples learn. Under construction. We love serving moms birthing at Abington Hospital! Browse my other posts while I am working on this one. I was just reading a news article about the new Einstein Medical Center Montgomery and fell upon an invitation to a webinar they are conducting in just two weeks, Trial of Labor after Cesarean Section: What you need to know, August 7th from 12:30-1:30. I signed up and look forward to hearing what Dr. Elizabeth Zadzielski has to say about vaginal births after cesarean sections! I just read a great article on Huffington Post from Ina May Gaskin with important information we all need to hear. As a doula, I am so happy to be able to help educate families so that they can make the choice that is best for them. Penny Simkin(doula and founder of DONA International) study about moms memories of their birth experiences suggested to us that when a woman feels that she is autonomous and able to make her own decisions without force, she is most pleased with her birth experience. Penny is also the author of a study that tells us that a mothers birth experience is not just about getting the baby out. It is a momentous day that matters for the rest of her life, whether positive or negative. So yes, birth choices matter. The birth of a baby is truly a wonderful mystery of life. The birthing process hasn't changed much over the last 5000+ years. In the beginning, before there were clocks and schedules, babies were always breastfed by mom, on demand, day and night. Only in the last 200 years, cultures began adding on more rooms, and only in the last 10 years or so, have we seen the rise of "sleep training" methods. In a survey of 172 societies, all infants in all cultures do some co-sleeping at night, even of only for a few hours. The U.S. consistently stands out as the only society in which babies are routinely placed in their own beds and in their own rooms. But, for many breastfed babies, night waking is normal and necessary. Night waking is as normal as co-sleeping with your child in almost every culture, except the United States. In some Western cultures, such as the United States, artificial feeding is a norm and the expectations are different. Babies are expected to sleep for long stretches alone, often in a separate room, by the time they are three or four month old. This is an arrangement that has grown over the last 200 years because of cultural reasons, not out of biological appropriateness. In almost all cultures around the globe, mothers and babies sleep close to each other at night for many reasons, mainly so that the baby can be nursed with less disruption of sleep. Parents in these cultures expect babies to wake frequently to nurse at night until they have matured enough to naturally outgrow this behavior, a process that may take years. A wakeful baby - even a wakeful older baby or toddler - is not considered unusual or a problem in these cultures. Besides the practical reasons of co-sleeping, science is now learning that sleeping with mom is a biological need. Infants don't develop the ability to easily navigate types of breathing until they are at least three or four months old. James McKenna, Professor of Anthropology, has published many studies that provide evidence that when mother and baby sleep together, the mother's breathing and movement affect the baby's breathing and arousal patterns. Babies get more practice at the transitions from one kind of breathing to another. Also, mothers and their breastfed babies can then develop the same sleep cycles which encourages less disruption to sleep for all. Breastfeeding moms can't get any deep sleep anyway: Lactation women are hormonally programmed not to have the fourth and deepest sleep cycle, possibly to be able to tune in to the waking cycles of our babies. So, how could we Americans cope with such a change in our cultural norm? A working mom or a stay-at-home mom may be asking, "I need my sleep. How will I function well?" Well, there are many alternatives to the usual sleeping arrangements that can make night nursing a lot easier. The baby's crib (or bedside co-sleeper) can be attached to the parents' bed in a "side car" arrangement (with one side open). A mattress could be put on the floor in the baby's room or in the parents' room so mom can lie down and sleep while nursing the baby back to sleep. A bed rail can be used (on that floor mattress) or on the parents' bed even if baby simply sleeps in their bed part of the night. Mom can wake and feed the baby every two to three hours in the day if she is constantly nursing at night. Wake and feed your baby just before you go to sleep so you can get a longer sleep cycle before the baby wakes again. Like many parenting decisions, there are pros and cons to developing a co-sleeping arrangement. A family bed can help prevent Sudden Infant Death Syndrome (SIDS), it matches breathing, matches body temperature and makes mom more aware if something is wrong. 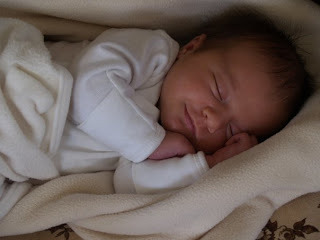 Co-sleeping creates less disruption to sleep and continues to give nourishment and comfort throughout the night hours. A family bed can help make the necessary night nursings easier and reconnect a family after a long day. Yes, there are cons to a family bed. It can be harder for mom to settle in due to squirming and diapers crinkling. 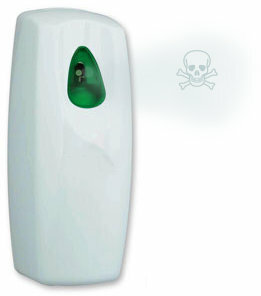 It can create less privacy, making it harder to turn in later or get up earlier. A family bed can also create ongoing doubts such as "Am I doing the right thing?" or "When should it end?" Just remember, no matter what the sleeping arrangements are in your home, where mom and baby sleep is a personal, parenting decision that should be made based upon what is best for your baby, you and your family. Like the first of many parenting decisions, trust yourself when making whatever choice is best for you and your family. Remember, night waking for nourishment and comfort is often a biological need and not a choice to the infant. In the words of Dr. Sears, author of "Nighttime Parenting" and other books, "In the first few months, the infant's needs are the highest, but his ability to communicate those needs is the lowest." Main Line Doulas thanks Donna Sinnott for allowing us to reprint her article. "Many studies show that continuous support benefits laboring women, especially when the support begins in early labor and is given by someone whose only role is to provide it. Benefits include the following: • Shorter labors, with less need for medication to speed up labor • More spontaneous vaginal births (that is, births that don’t require forceps, vacuum extraction, or cesarean delivery.) • Fewer requests for pain medications • Less dissatisfaction with birth experiences. " Frequently Asked Questions: Is it better to tear or be cut? Is it better to tear or be cut? 60Sec Doulas give some great responses to if it's better to tear or be cut. I like to use the analogy of tearing a piece of fabric. If you hold a piece of fabric in your hands, and choose to tear it by pulling it, it's very difficult. It can be done, but it's hard. How would you tear that fabric then? You would take scissors and snip a bit, then it would be easy to tear! Although your perineum isn't exactly fabric, the analogy works pretty well.